The heart is one of the vital organs in the human body that needs proper care and attention. A little alteration from the normal functioning of the heart can cause a severe condition that will eventually lead to the death. 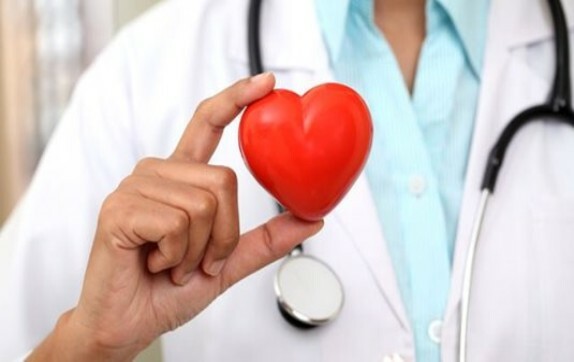 Since we have the knowledge how important the heart is to our general health, it is proper we follow and adhere to the necessary tips and step that will sustain its health, and in general making us to live a healthy life. If you should check in the world today, there are so many cases of deaths that is as a result of heart attacks or different heart problems. Stress and too many thoughts about life accounts for many heart ailments. The economic situation of the country (such as the one we are experiencing in Nigeria now), the thoughts of what to eat and how to survive all have negative contributions to our heart health. Apart from stress, unhealthy lifestyles and diets also contributes negatively to the heart health. Laying aside all these negative factors that affects the heart, we can still cope by adhering to ways of maintaining and taking proper care of the heart. Too many articles have been written, talking about or giving necessary tips on how to take care of other parts of our body such as; the skin, hair, mouth, ears. eyes, ginger nails and little or less attention have been given to the heart. Which on a normal circumstance suppose to attract much consideration, and so many written tips. Since from knowledge i have come to realise that if the heart is not taken proper care of, the remaining organs of the body will be affected and rendered redundant. In this post, i will be giving out various tips and ways of taking proper care of the heart, of which if they are strictly followed, the heart health will be maintained at its peak. The following tips have been tested and proven effective, I call them my top 8 ways of taking proper care of the heart. Read on to know exactly what they are really about. Smoking is a habit or lifestyle that contributes negatively to our heart health. It carries out lots of actions that are detrimental to the heart. For example; it increases the blood pressure, narrows the arteries, all these can increase the risk of heart attack. Smoking can also cause blood clots, it increases the chances of acquiring stroke and is one of the leading causes of cardiovascular disease. If you really want to take proper care of your heart, the first action to take is to quit smoking. Some important heart stats such as the normal rates of cholesterol and blood pressure should be taken into great consideration. We should have an idea about the normal rate of cholesterol and blood pressure, have regular check-ups with our doctors and ensure to maintain a healthy reading of these numbers. Living a life that is physically inactive is not good for the heart, in one way or the other we should be involving ourselves with different types of exercises that suits us. Much-needed physical exercises regulates the rate of blood flow in the body and increases the heart rate too. So it is healthy to always get involved in physical exercises. BMI stands for body mass index, and it is calculated by dividing your weight (in Kg) by your height (in m2) . Know your BMI and ensure that they are appropriate for your corresponding height and age. Although we cannot categorically say that hereditary is the major cause of heart disease, but it can certainly be a contributing factor. It is important we find out from our families if they have histories of heart diseases so that we can take the necessary precautions to prevent them from occurring or suffering from similar fates. We should be mindful of the rate we consume salt. Reducing the rate of salt intake will make you less likely to have coronary heart diseases. Try as much as possible to get used to eating foods without salt, or with very little amount of salt. This act is highly healthy for the heart. Maintaining a happy mood always is one of sure way of taking proper care of the heart. Try as much as possible to reduce your stress levels. Stress has a direct impact on the heart by damaging the proper functioning of the blood vessels. So, despite the negative situations around us, we should try as much as possible to involve in activities that reduces our stress levels. Dark chocolates contains various ingredients that are capable of lowering the risk of getting heart diseases, and also helps with preventing blood clots. Eating chocolates is the last of my top 8 ways of taking proper care of the heart i would be talking about today. cardiovascular disease and ailments are very popular in this our present generation, so we should endeavour to take good care of our heart to be free from them. Please use the share buttons below to get this information across to your friends and families on various social networks.